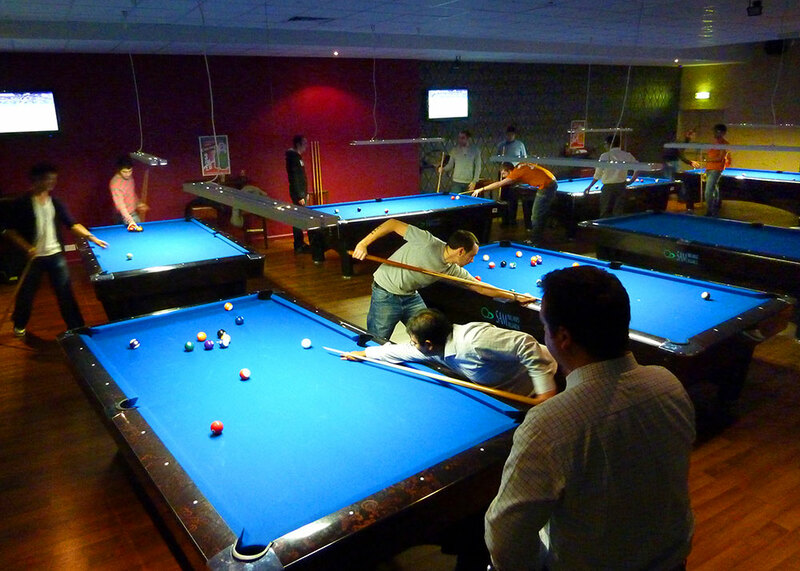 Kings Cross Hurricane Room is our flagship club with 27 tables. It was totally transformed in recent years (from Kings Cross Snooker Club) with a clean new modern open-plan look and feel and a brand new entrance. Play snooker, American pool, and English pool. We are open 24 hours a day, seven days a week, 365 days a year. We don't close. You can play for any length of time. Your bill is adjusted proportionally based on the prices shown above. e.g. Four members using a single table for 1 hour 30 minutes pay a total of £16.50 (£11 x 1.5). Guests – If your guests require an additional table they will be charged the guest table rate as above and may be asked for a deposit in addition to the small admission fee. Advance booking differs depending on the number of players. Booking period You may book to start play at 5.30pm or earlier. * Book to start play at any time. Membership Membership is required by at least one player. The remaining players may be guests and pay admission fees. Membership is required by at least one player. Membership may be offered free to guests as part of the booking. *After 5.30pm tables are assigned on a first-come-first-served basis. We are fully licensed to serve alcohol late, seven days a week. We serve the usual bar snacks and have a small selection of hot food available at any time. Junior members or guests under 18 years of age are welcome before 7pm on any day. Juniors must be accompanied by an adult member (over 18) at all times. There is also Junior’s Club on Saturday mornings. Visit our coaching page for more information on the Junior’s Club. If you are not yet a member, please come and visit us and take a look around. When you arrive check-in with our staff at the bar and ask for an introduction to the club. If you are not accompanied by a member and you’d like to start playing pool or snooker straight away, you’ll need to buy membership first. It’s very quick and easy. Just remember to bring ID along with you before 10pm on any day. Read our membership page to see further requirements.